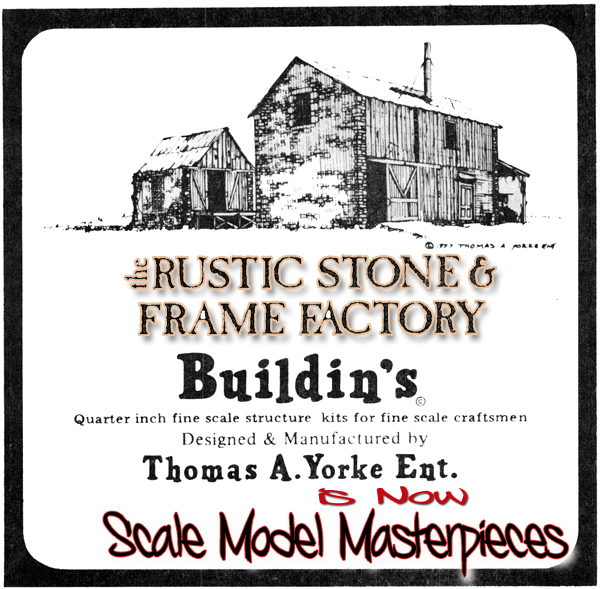 Structures ... Click the above Links to view available Structure kits. Some scales have structures and some scales do not. This is a dynamic work-in-process as we work to sort out the Thomas A. Yorke Enterprises and California Freight & Details Co. product lines. Stay tuned, eventually this will be a great merger! FYI SMM Pilot Model construction by Richard E. (Ben) Bendever and weathered using Doctor Ben's Weathering Stains, Solutions & Pigments as described in the kit instructions unless specified.